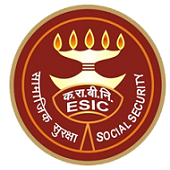 ESIC Jobs Recruitment Notification 2019.Employee’s State Insurance Corporation (ESIC) inviting applications for the positions of Stenographer & UDC.Interested and Eligible candidates can apply for the positions. Selected candidates will get Level- 4 of Pay Matrix (Civilian employees) with Entry Pay Rs.25500 from the organization. Look around for “ESIC Recruitment 2019 for Stenographer & UDC Posts“.